Everyone needs a fire pit for their backyard or outdoor space. It’s just that simple. And here at the Fire Pit Gallery, we think it should be a one-of-a-kind fire pit, one that your family and friends will love and enjoy for your lifetime. People love spending time in the outdoors, and a custom fire pit can serve as the centerpiece of your outdoor space. Artistic design: All of our fire pits are functional works of art. Each fire pit is hand drawn and hand cut and has a numbered metal plate to assure that each fire pit is completely unique. From beach scenes with palm trees, to mountain vistas, wildlife, horses and even eagles, you’re sure to find a design you will love. Most of our fire pits are custom made with ¼ inch thick American-made steel that will last a lifetime. Each of our fire pits feature a rust patina finish that will continue to age as it sits outdoors in the elements. It is guaranteed not to rust through in your lifetime. Whether you’re looking for a sphere, a bowl or a mini fire pit to take with you camping, we’ve got many designs to choose from. Browse through our gallery and you’re sure to find one that will best suit the needs of your space. All of our fire pits and bowls are created as wood-burning fire pits, but each can be converted to either propane or natural gas. 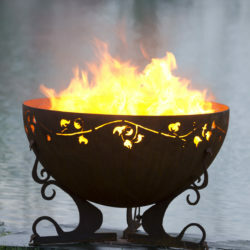 For certain designs, like the beautiful Emergence Dragon fire pit, we even recommend gas. 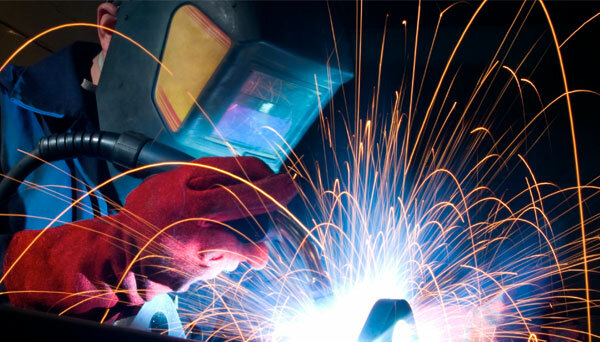 If you’re looking for a custom-designed sphere, bowl or pit, we are happy to assist in bringing your design to reality. You can customize yours by choosing a mix of some or our designs or by submitting your own design. You won’t find service like this anywhere else. Shipping is free in the lower United States and occurs five to 10 business days after you place your order. During our busy season, you can expect your fire pit to ship out 15 to 20 days after a placed order. Actual shipping takes between one and seven days. Your fire pit sphere will be in your backyard in no time. We think you’ll discover there is nothing else like a Fire Pit Gallery fire pit or sphere. It’s a great way to spend time together as a family. And you can be sure our fire pits will always be the hit of the party or family gathering, whether you’re roasting marshmallows or just sitting back and enjoying its warmth. Visit our online shop to see our unique fire pits. Please comment below with any questions you may have. We’d love to hear from you.